Sclerotherapy is just as effective for treatment of spider veins on the hands as it is for the legs. 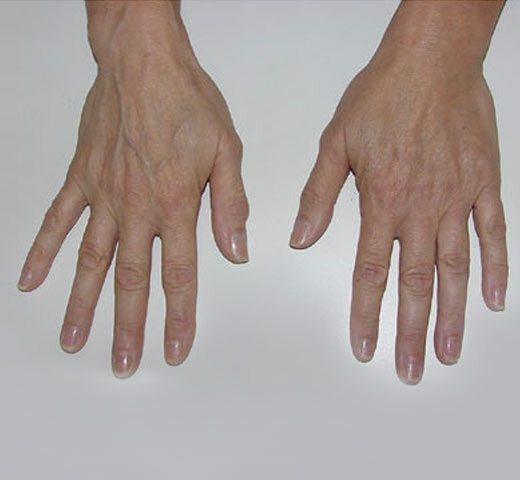 Sun, gravity and other environmental exposures subject the hands to unique combinations of physiologic and environmental stress causing hands lose volume as a result of muscle atrophy, bone demineralization, and loss of normal fatty tissue. 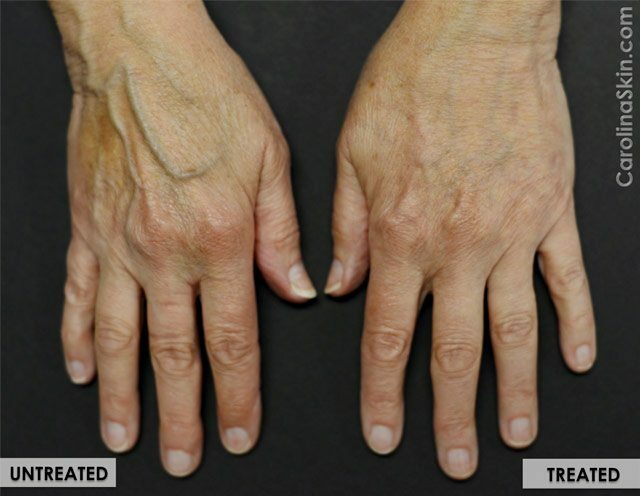 This results in wrinkled, discolored skin and prominent superficial veins of the hand. These veins get larger and more noticeable over time. Insurance companies usually do not cover cosmetic treatments. What is the cost for hand sclerotherapy at DLVSC? The cost is directly related to the amount, or severity, of the patient’s condition. You will be given a price quote at the time of your consultation.